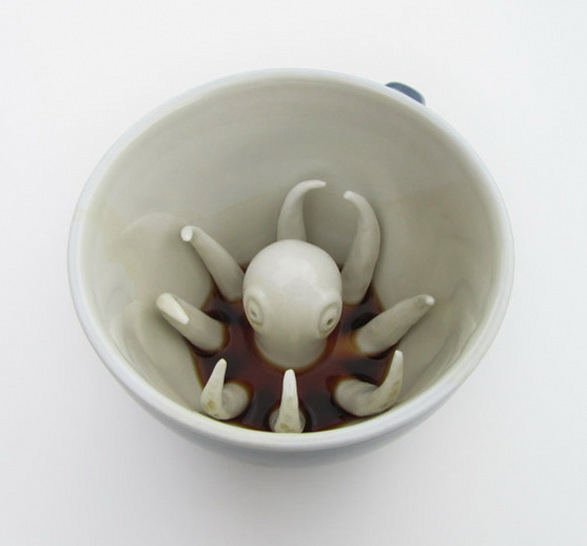 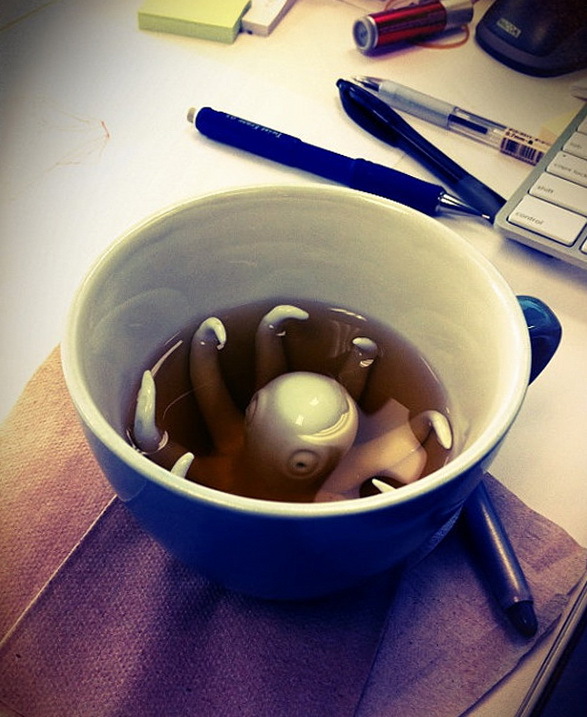 These disturbing creature cups are the idea of Brooklyn-based artist Yumi. 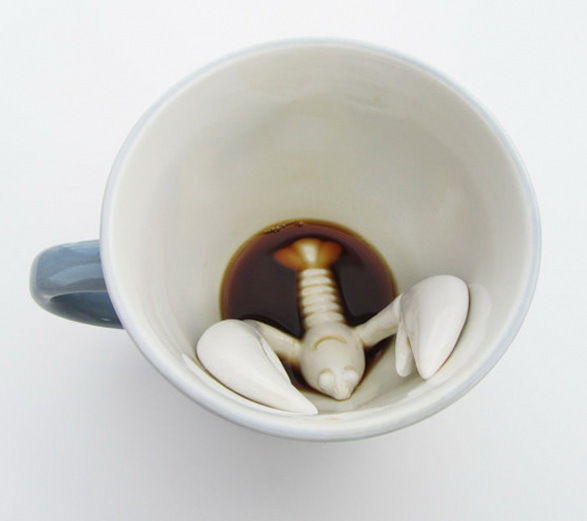 Being an avid coffee drinker, Yumi had this idea brewing for years until she finally realized exactly where her creatures belonged – in the bottom of your coffee cup of course! 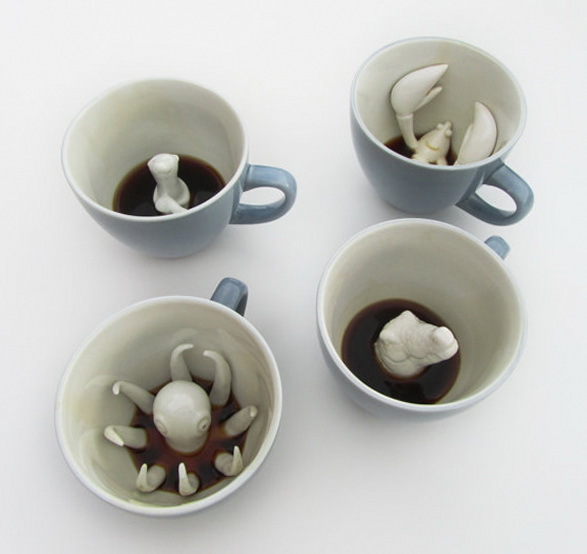 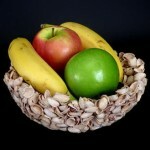 Her shop on Etsy offers cups featuring a variety of different creatures, including an octopus, lobster, sea otter, crocodile, or one of each in a set of four.